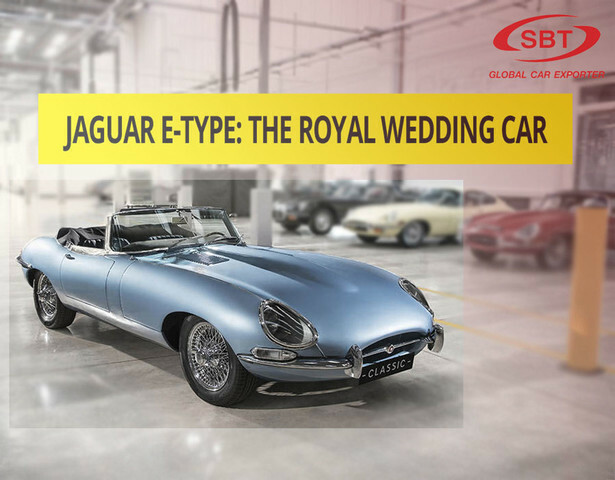 Royal Wedding has always received a serious media airtime as all eyes are speculated over the subject of couple’s nuptials, some limelight was experienced by Jaguar E-type as royal wedding car too. The celebrations not only take place in British Kingdom, but the whole world takes part by following star-studded Royal Wedding ceremony. This time Prince Harry and veteran actress Meghan Markle hit the media streamline as the couple officially tied in knot on May 19, 2018 with a mind blowing car. 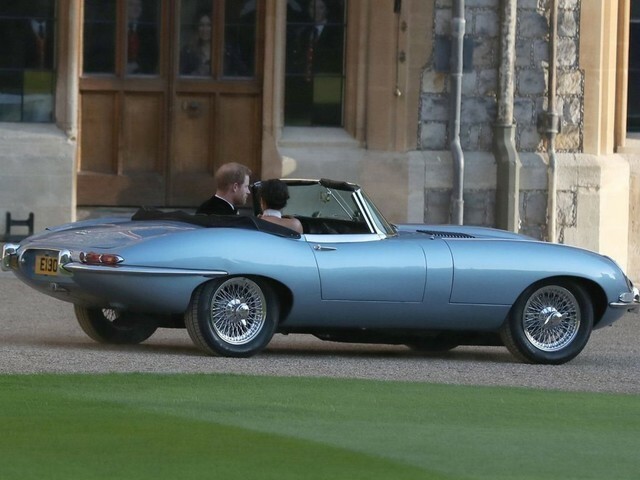 The Reception of newlyweds took place at Frogmore House, and the royal couple travelled to their destination from Windsor Castle in an ostentatious vintage Jaguar, which is known as the most beautiful car of the world. 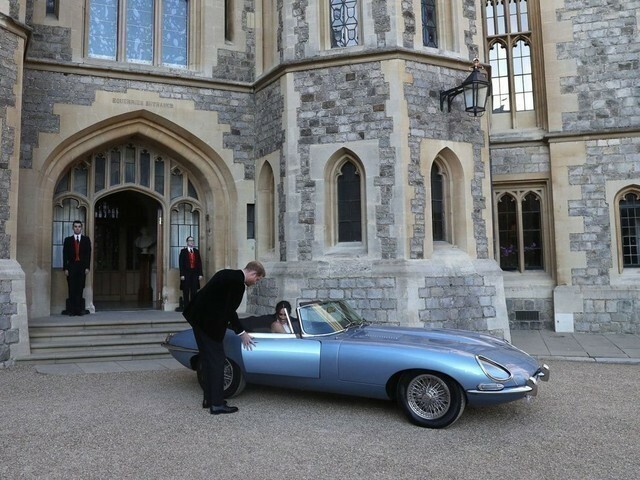 Duke and Duchess of Sussex chose Jaguar E-type Concept Zero car for their reception which is based on 1968 model of Series 1. 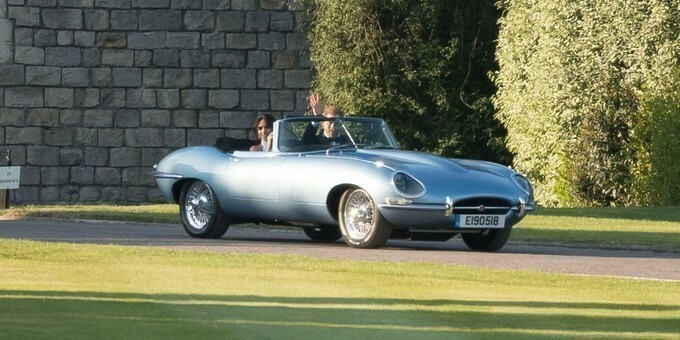 The Royal Couple hopped into the classical powder blue color Jaguar in style that truly represents a unique blend of Modernity, Royalty and Traditions. Jaguar E-type zero-concept car is a modified version of iconic Series 1 of Jaguar, which has been fully converted into top-class electric sport car by Jaguar Land Rover Classic. 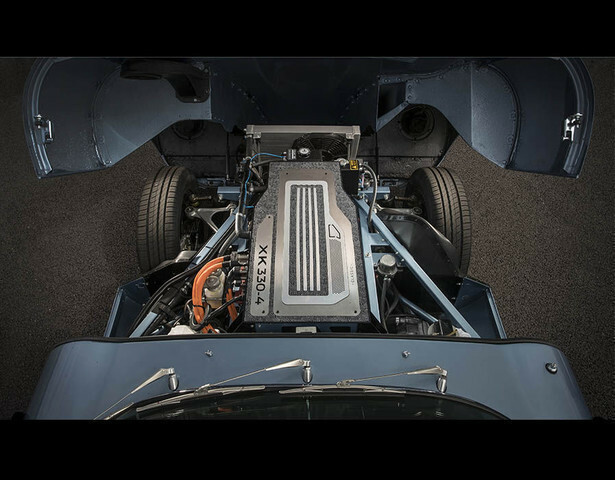 This car is basically a zero-emissions battery-electric powered version of the 1968 car that has retained the same engineering skills as the original. 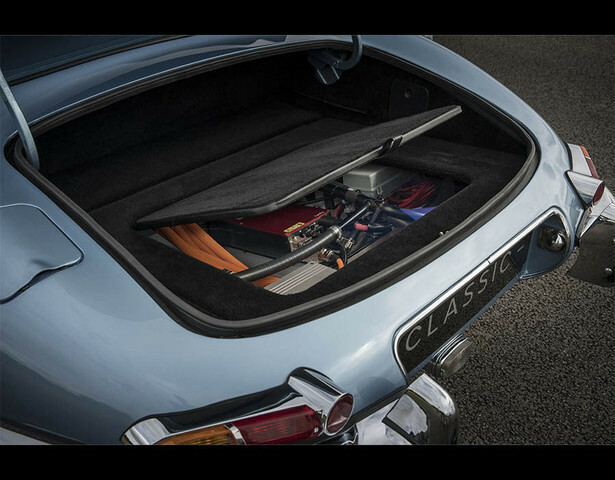 It means the structure includes suspension, handles and brakes just like the original E-type. The only major difference is that this car is 80kg lighter than original, however it still steers and drives fantastically just like its original version. But have you ever thought that why they only opt for this electric car? If not then, you would be amazed to know that the newlywed Royal couple is known to be eco-conscious. The selection of electric power train car is a sign to the couple’s keen interest in environmental issues. The zero-emission electric engine of the iconic car which replaces the older “K” six-cylinder unit makes a positive impact on performance as well as on environmental conditions. In addition, this car has also been added with exemplary features and top quality instrumentations that give a real lust of driving. Moreover, the car is kept to be left hand drive in order to value the American heritage of Duchess. 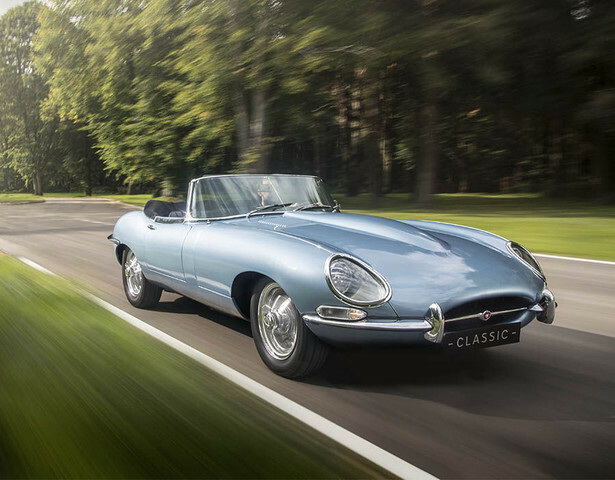 The zero-emission concept was introduced in the Jaguar E-type to enhance the dynamic driving experience through electrification. The unique combination of lithium-ion battery not only boasts the performance, but also creates a breathtaking driving sensation. However, the electric incarnation of 1968 model is totally original in specification, regardless of its electric power train, modified instrumentation and fascia. 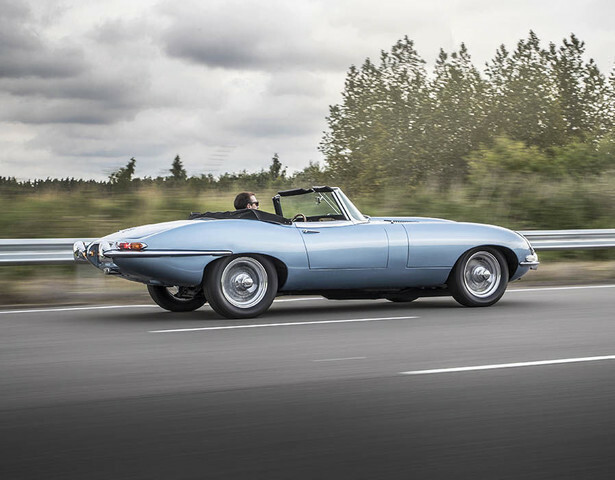 The electric version is quicker and efficient than the original E-type. The 40kWh battery is smart enough to cover the admirable range of 170 miles on a single charge. The electrifying power train generates 220kW of power that enables it to sprint quick fire from 0-62mph in 5.5 seconds, which is the fastest in the whole lineup. This zero-emission concept engine has given a world a future perspective of world cars which gives benefits environmentally as well as economically. In future, we would love to have Jaguar E-type zero-concept car in our stock, so that you can also sense the feelings of royalty and sensational driving. Full article : WATCH: The Art Of Villainy By The Classic Jaguar! WATCH: The Art Of Villainy By The Classic Jaguar! Full article : Jaguar’s AMAZING Augmented Reality! Full article : WATCH: Jaguar Advert Banned For Supporting Reckless Driving!!! WATCH: Jaguar Advert Banned For Supporting Reckless Driving!! !